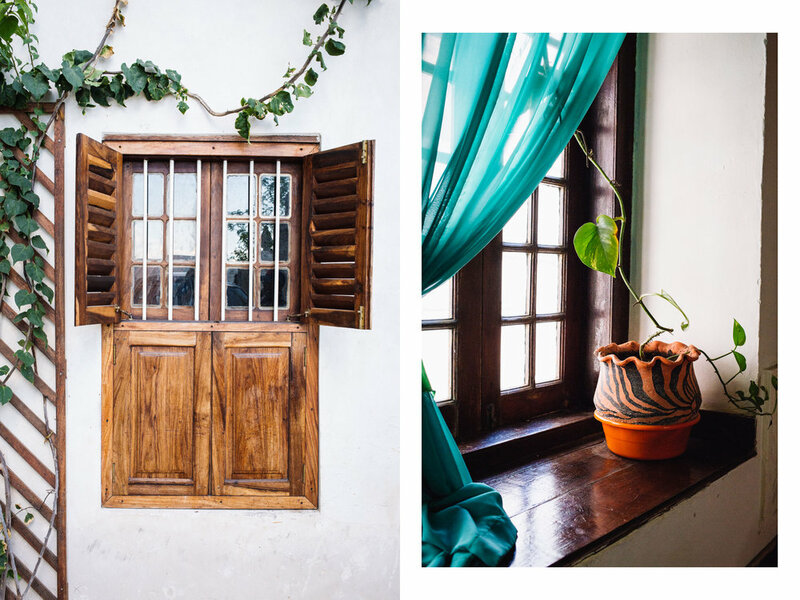 Ren Fuller is a Los Angeles based photographer specializing in food & lifestyle and travel photography. 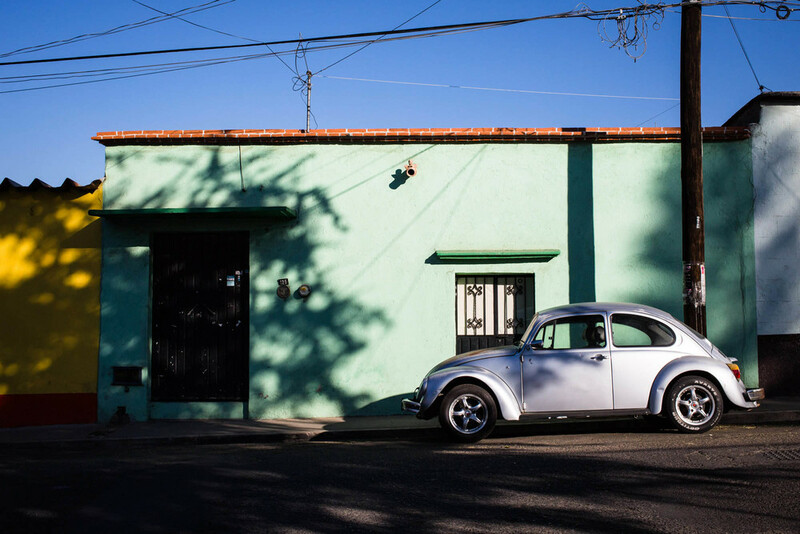 About an hour from Oaxaca de Juárez, is the tiny village of San Marcos Tlapazola. 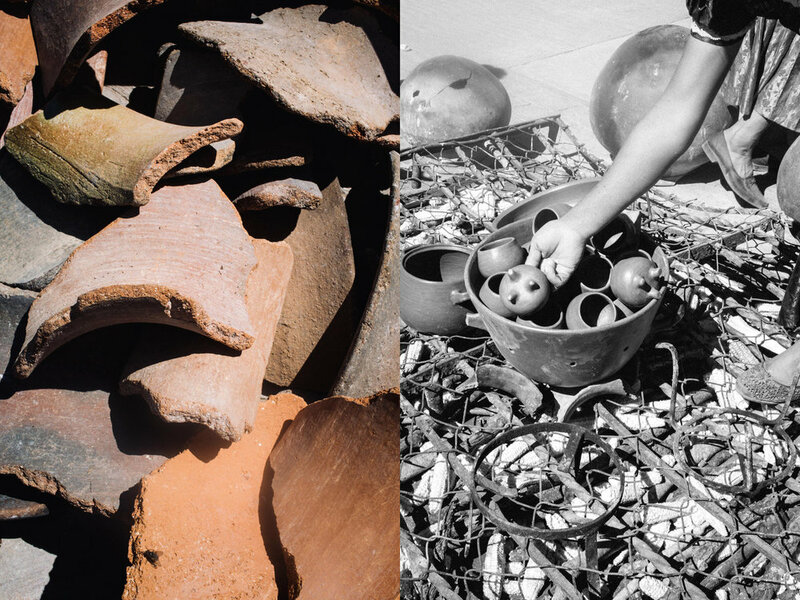 In a courtyard, shared by eight members of the Mateo family, ceramic pieces are made from start to finish. 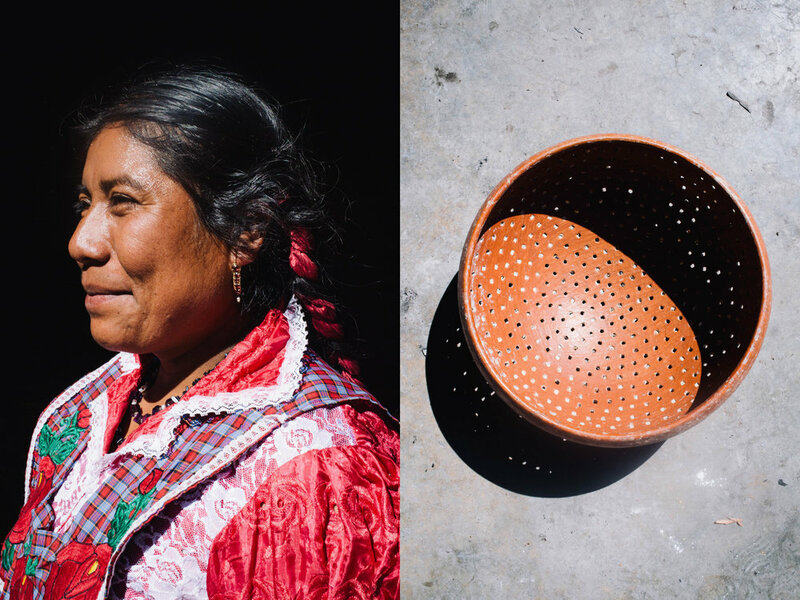 The Zapotec artisans are all women, and their practice has been passed down within the family for thousands of years. As a potter myself, watching this ancient process was both humbling and awe inspiring. While the process spans over a week, we were lucky enough to watch every step. The low fire red clay is foraged during walks outside their village and mixed with water and sand. After a week of drying in the sun, it is ready to be molded. Each vessel is made on a wheel, but not on an electric wheel. A large rock elevates the piece, and a thin piece of material separates the rock from the foot of the vessel. 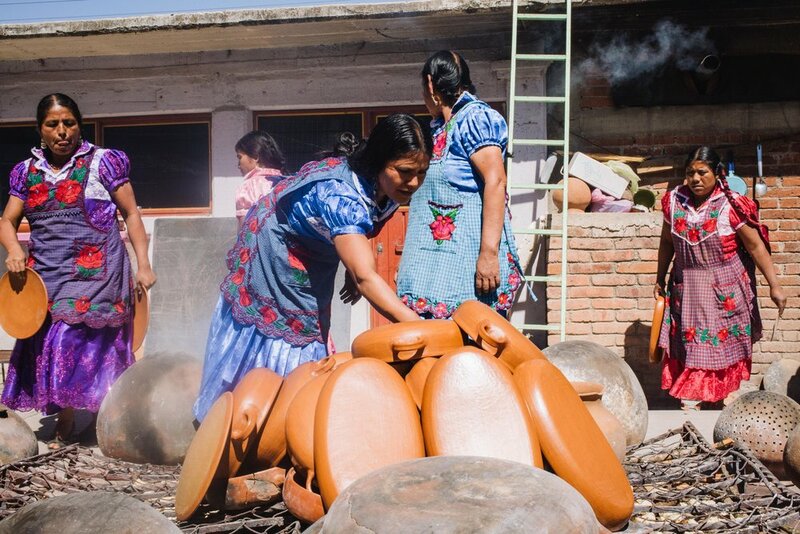 The women spin the lump of clay by hand, forming the vessels into perfect shapes with equal thickness throughout. Little to no trimming is needed. The pieces are then arranged in the sun to bone dry, and pre-heat, until they are ready to be fired. Firing doesn’t happen in a kiln, rather in the open air, in the center of their courtyard. Broken pots surround metal mattress springs that lay on top of dried corn husks, sticks, twigs, and brush. The vessels are placed in the center in a tight bundle, and then covered with sheet metal, old broken pots, and tree branches. 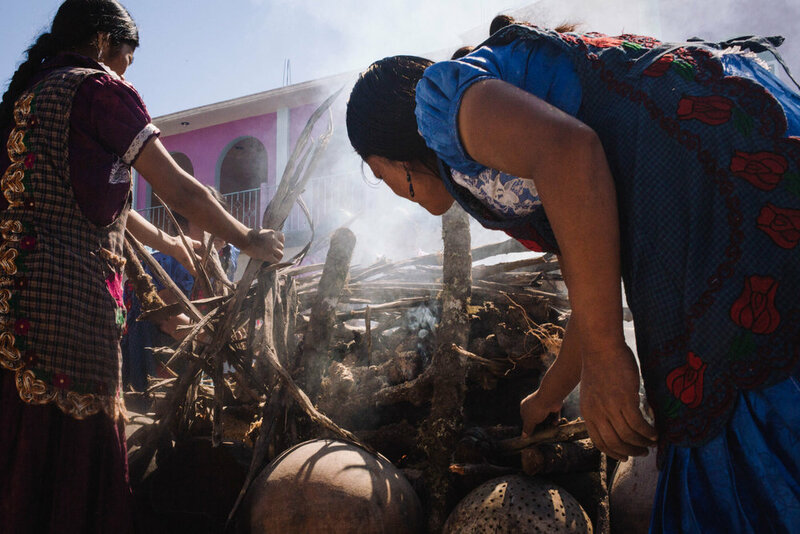 A fire is lit, and as it builds, the women continue to pile more and more branches until a blazing fire roars in the center of the courtyard. It is long, hard work, and done in the scorching afternoon sun. While the pieces are low fired, at 1050 degrees, the unglazed pieces are lead-free and food and cooking safe. After a long day in the sun, while most would retreat to the shade, the women got to work in preparing a simple, yet delicious lunch feast for everyone. Generous hospitality that is part of every day life here. 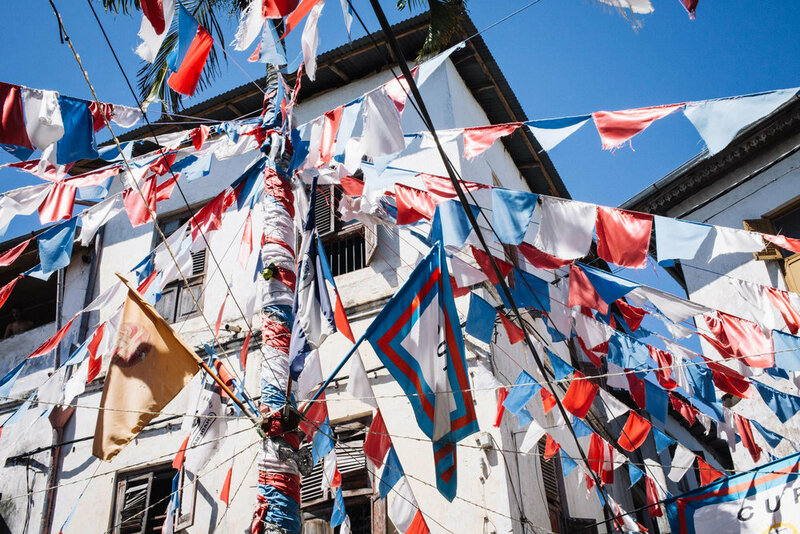 This trip was made possible by the This is the Wanderlust workshop in partnership with Pocoapoco, as well as Colectivo 1050º. Prior to departing for a week on Kilimanjaro, our home base was the Stella Maris Lodge, in Moshi. The lodge was a comfortable and peaceful place to relax, but what makes it extra special is the adjacent primary school. 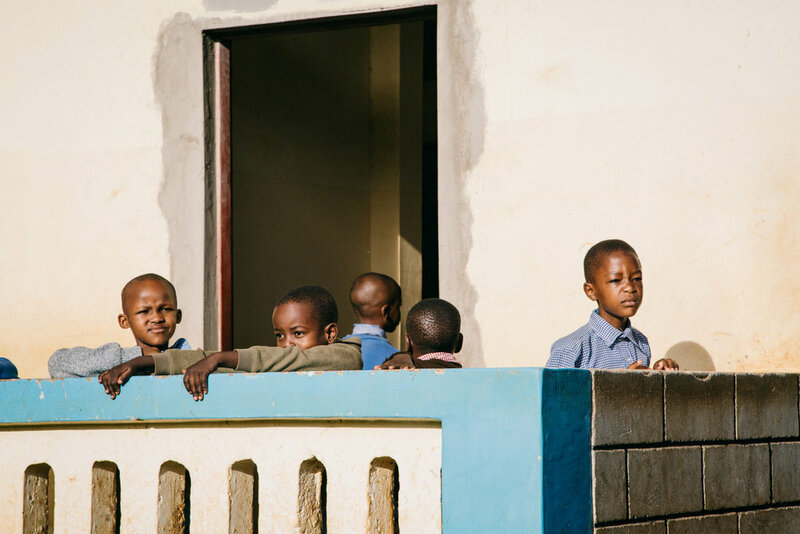 Built in partnership with the US-based nonprofit, Maillisita Founation, the Stella Maris English-Medium Primary School provides education to the underprivileged children of the local villages. The profits from the Lodge are directed exclusively to the school and staff. 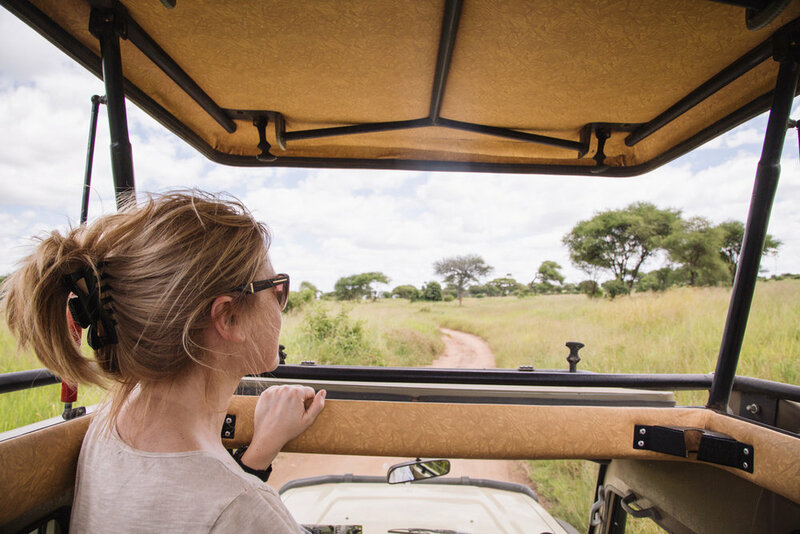 Going on a Safari, while it sounds touristy, is a must. The insight it provides into the Animal Kingdom, is jaw dropping. Not only do you see every animal you can imagine, but you see them co-existing in such close proximity to each other, that it blows the mind. 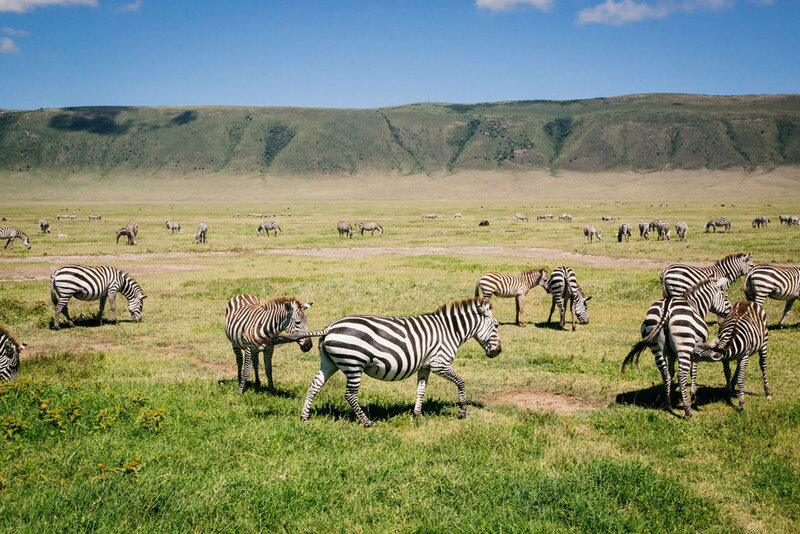 The Ngorongoro Crater was my favorite, and was basically the Lion King, but real life. The crater spans around 100 square miles, and you would think that with such a vast space, that each animal family would have their own pocket. Boy, is that a wrong assumption. If you look in one direction, you can see zebras, wildebeests, lions, warthogs, hyenas, jackals, gazelles. If you look another, you can see flamingos, rhinos, elephants, water buffalo, etc. Save for the hippos, that hang out in their own section of the park, coined, The Hippo Pool. There are quite a few National Parks to visit, and I wish we could have seen them all. Because I am in love with elephants, we also visited the Tarangire National Park, and nothing made me happier than seeing these majestic families roaming freely. We used Bush 2 City Adventure, and were very impressed with the company, how accommodating they were to our limited time, and providing us with the best itinerary for our restrictions. Highly recommended! This was one of the wildest experiences of my life. 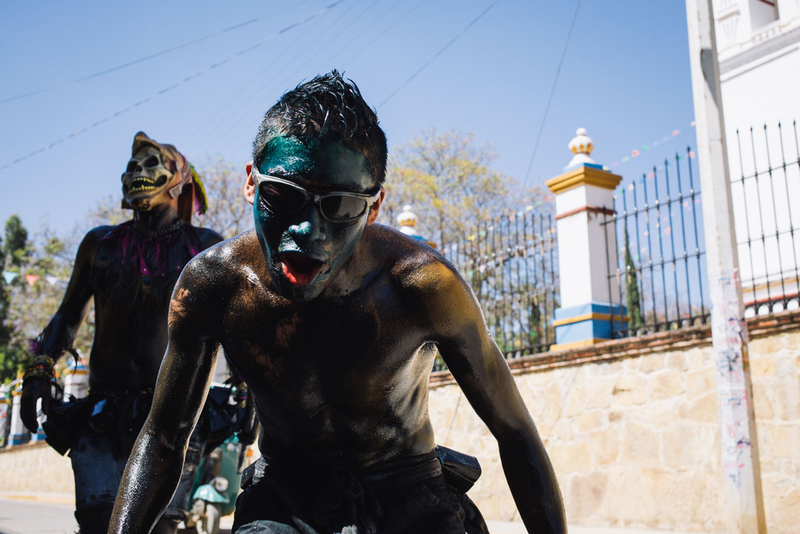 While in Oaxaca back in February, my friend Dacia said she wanted to go to a festival she had heard about, an hour outside of the city, that only happened once a year where men cover themselves in motor oil and run through the streets. This sounded way out of my comfort zone, but in the end I decided I would kick myself for missing it. 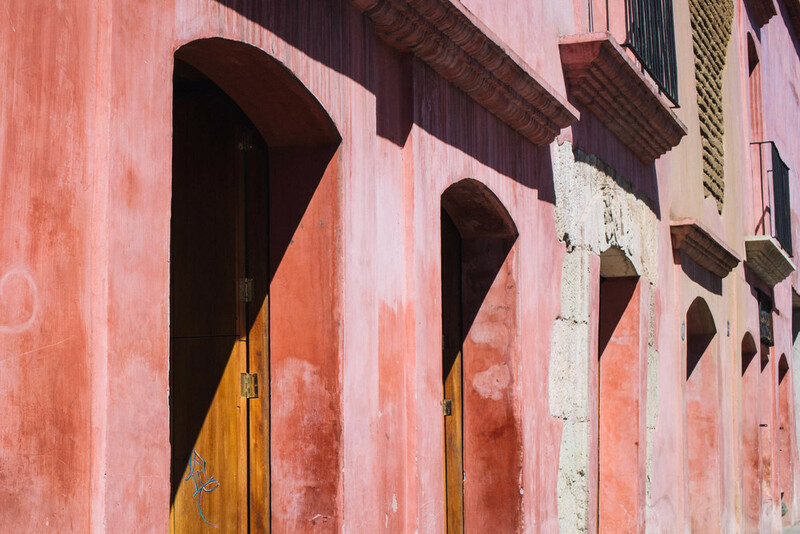 And so we took a journey to the town of San Martin Tilcajete, a tiny town with a population of just over 1,500 and known for it's Alebrijes, or brightly painted wood carvings. But once a year, during Mardi Gras, on Fat Tuesday, a day long Carnival celebration happens here. 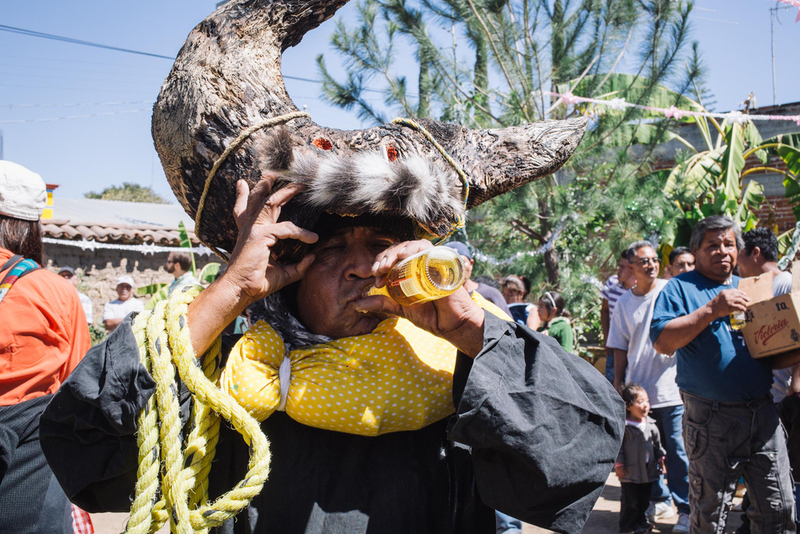 On this day, the entire community comes together, making communal food, passing around endless beers and mezcal to all. 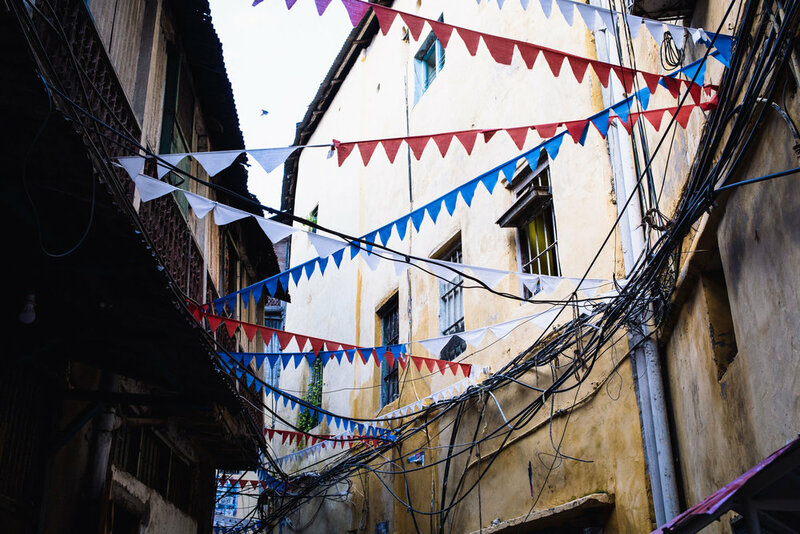 As outsiders, we were taken in immediately, offered to join in on the communal meal in the town center. As the morning wore on, young men began to run through the few streets covered in motor oil and masks and bells. At the center of the celebration, there was a mock wedding consisting of cross-dressers, in a family yard. The rest of the participants donned devil like costumes and happily wandered the streets. If you ever find yourself in the area, on Fat Tuesday, this is not to be missed. I haven’t had the experience of traveling to a new place and giving myself specific guidelines for seeing and exploring until recently. I arrived in Oaxaca back in February to participate in a research residency, the recently formed Pocoapoca. The only problem was, my original plan of focusing on food, went completely out the window as soon as I arrived in Mexico, and realized the only thing I wanted to do with food was eat it. And then my first morning in Oaxaca happened. 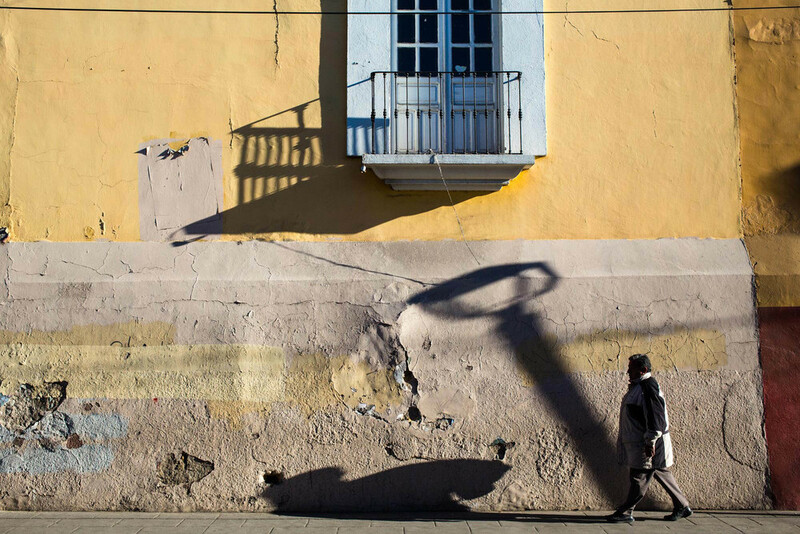 It was right after sunrise, and chilly in the way Oaxaca gets when the sun is hiding. I was still groggy as I stepped out with my camera, but 5 minutes into my walk, I was wide awake, completely blown away by the light in the city. I new immediately that this was what I wanted to focus on for the week. It was abstract enough that it made me feel outside of my comfort zone, and that’s usually a good sign. I spent the week feeling both overly excited to defeated. But my solo early morning and late afternoon walks were my favorite part of the week. I loved noticing the way the light would bend around corners and obstructions, the drama of the sharp angles. Or watching the activity in the public space change throughout the day: people finding any sun lit nook to get some extra warmth, in the mornings, and later seeing those spots abandoned in the hot afternoon for the shade. Overall, it was a pleasure to explore the city less aimlessly, following the light, finding my favorite places, and going back at different times of day to note the change. 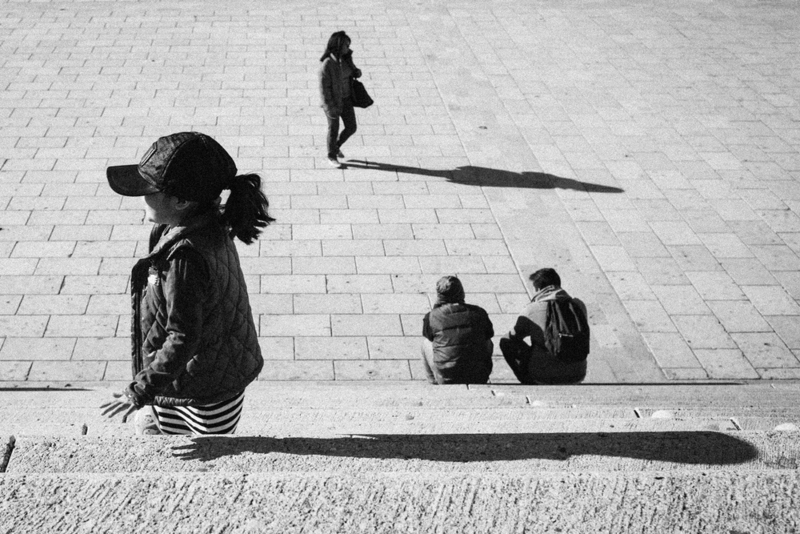 It was also a different way of shooting for me, as it combined both architectural and street photography - two things that I will be the first to admit I wish I were better at. And a big thank you to Pocoapoco for inviting us to such an inspiring place to run around in, as well as the fellow residents. Throughout the week, seeing their process, listening to their thoughts on art, creativity, motivation, setbacks, etc, was invaluable. Pocoapoco is accepting June applications. Do it!